Indulge in glittering glamour with a pair of 18ct white gold pavé set diamond earrings, covering the entire of the precious metal in lustrous texture with the diamonds totalling to 1ct. Wear it as the finishing piece that elevates the attire into luxury. 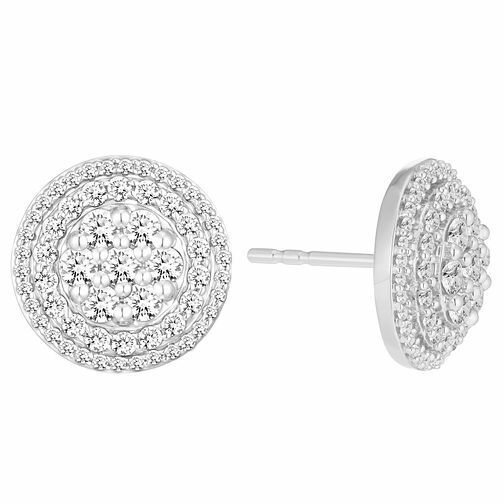 18ct White Gold 1ct Pave Round Diamond Earrings is rated 4.0 out of 5 by 1.